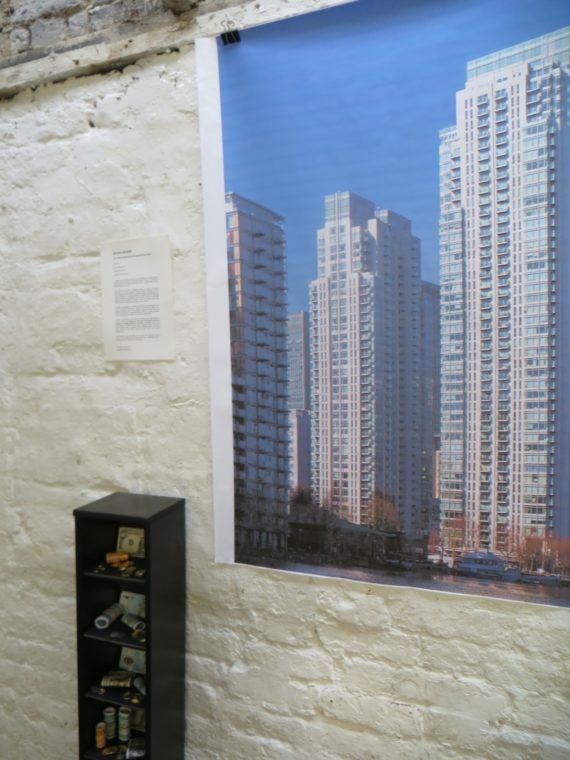 ‘New Narratives’ is the latest show to open at hARTslane, New Cross, London and the exhibition is a part of the hARTslane collective’s ‘Dear London’ project. Given my personal interest in the decline of affordable social housing, I was especially pleased to be asked to participate. The issue of empty, forgotten buildings is one that stares me in the face nearly everyday en route from home to my studio in SE London. The area is becoming saturated with new-build ‘luxury living units’ and ‘high spec living quarters’ – large, imposing tower blocks developed purely for financial investment, with no consideration for the impact on local residents. Conversations among local people frequently revolve around how hemmed in they’re starting to feel, how frustrated they are about the many empty properties surrounding them and how sad they feel about the ongoing breakdown of communities – generations of families being priced out of the area. Take away the money and turn this tower block into a home! 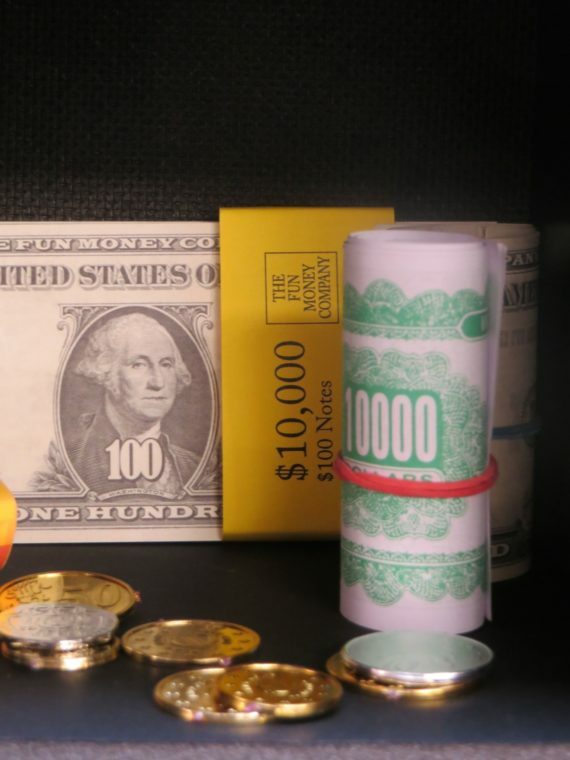 This tower block, uninhabited and stuffed full of fake money, is representative of the many that have started to saturate our local area. They’re sterile, soulless and are invariably left empty, seen by their absentee owners as nothing more than investment opportunities to increase their wealth. And even if any attempt is made to rent them, very few are able to afford the extortionate rents requested. In order to put back some of the warmth and humanity that existed before the bulldozers waded in, I’m asking you to take away the money and bring back something in exchange; make this tower block a real home – strip it of its financial assets and transform it into an object of beauty, with heart and soul at its core; fill it with love, warmth, messages of hope, photographs, flowers – anything that represents what you think makes a home a real home, rather than yet another investment unit. You’re welcome to leave your items and take some of the money away whenever you like. Or if you prefer, you can make your exchange on Wednesday March 21st when there will be an artists talk at hARTslane from 6-9pm. The show’s curator, Rosalind Davis, also informed me that it was the Gallery’s silver anniversary. Being aware of interactive events I’ve created in the past, when I’ve either given away small objects or put them up for exchange, Rosalind asked me if I might be able to come up with an idea to acknowledge Collyer Bristow’s amazing 25 year run of supporting artists. My thoughts quickly turned to what I’d be happy to give away for free, as well as how to introduce the silver theme. 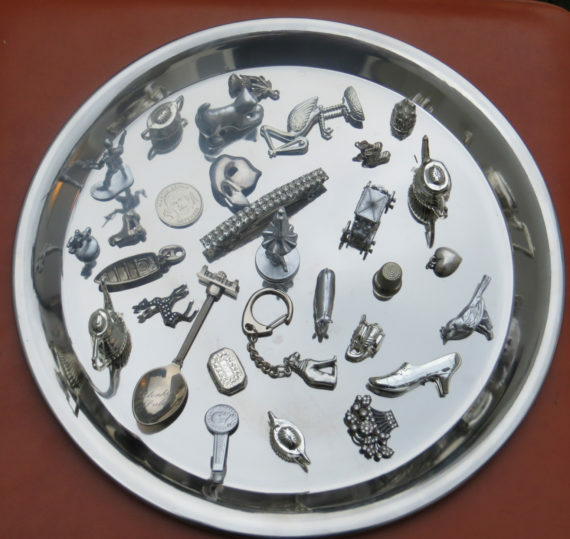 The 30 pieces of silver associated with the Biblical story of Judas Iscariot came to mind pretty quickly and is how I came to present 30 silver objects, laid out on a silver salver. The theme of value and worth is very much at the core of my work, and the idea behind ’30 pieces of silver’ was to explore that concept in a real life situation. I therefore used part of the budget I was given to buy an actual, genuine piece of silver. 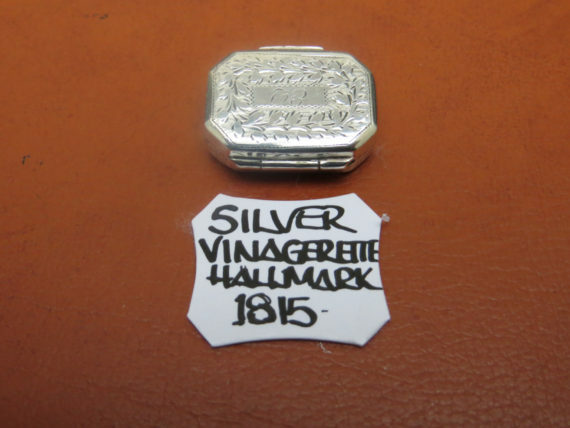 It was an antique 1815 hallmarked vinaigrette (a sort of miniature pomander, which used to be filled with smelling salts or perfume, so that it could be brought out and sniffed when confronted with foul odours). It excited me to see it nestled amongst the other items on the salver, unidentifiable to the untrained eye as something ‘worth’ infinitely more than any of the other 29 objects. Would people recognise it for what it was? Would it be the first item chosen? And if so, would it be because of its monetary value, rather than its aesthetic or emotional appeal? Or would it be taken by someone who had no idea of its value and simply liked the look of it? After all, is a real piece of silver ‘worth’ any more than a small sparkly deer, a 1998 Esso football coin or a spray painted pig? And is it inevitable that when people find out that they could have taken a genuine ‘valuable’ piece of silver, they will regret choosing the item they did? Will the silver pig, once it’s identified as mere plastic sprayed in silver paint, appeal less when it becomes clear it’s not real silver? Or will the person who selected it still be happy, as they took the object that was worth most to them in terms of aesthetic appeal? These are just some of the many questions I’ve been wondering about since last Thursday evening. I have yet to discover who took the antique vinaigrette box and why – but I do know that it wasn’t the first item to go, and neither was it the last. If you were the person who chose it, I’d love to hear from you. And I’d also love to hear from anyone else who took one of the objects. Was there a reason for taking the thing that you took? Do you now wish you’d taken the vinaigrette box? Do get in touch! In the meantime, I’d like to thank everyone who participated in the event – especially those of you who have already been in touch with your stories and photos of the objects in their new homes! And I’d especially like to thank James Haslam who distributed the silver so beautifully – a pretty challenging mission considering that there were over 400 visitors attending the opening night. And of course, last but by no means least, a very special thank you must go to both Rosalind Davis and all those involved in the Collyer Bristow Gallery itself. Rosalind has created and curated an excellent exhibition in ‘In The Future’ and I’m delighted to be given the opportunity to show my work alongside a group of hugely talented artists. In addition, the fantastic financial support of the Collyer Bristow Gallery enabled me to create a completely new piece of work and I’m very grateful to them for this. As many of us know, it’s so often lack of funding that prevents us from being able to realise particular pieces of work – and indeed, in the long term, reach our full potential as artists, even. I’m grateful to the Gallery for their financial support, as well as for being so accommodating in helping the ’30 pieces of silver’ performance go ahead on the opening night. It feels sweetly ironic that, through creating a piece of work which essentially explores the concept of value and worth, I should find myself working with a curator and a Gallery who both clearly have the interest of artists at heart and demonstrate through the work they do, how much they truly value them. 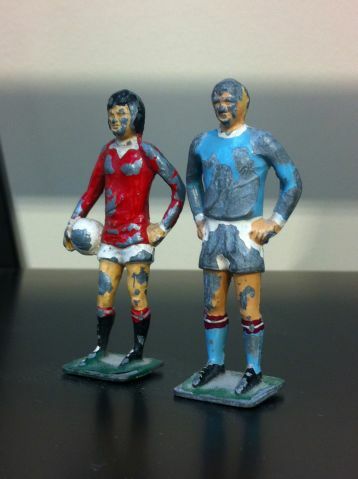 ‘In The Future’ continues at the Collyer Bristow Gallery until mid June. Twenty artists were invited to be in the exhibition and it’s a great line-up with some very interesting, diverse work on show. All details re the best times to visit are in the link below, followed by a link to the press release and information on all the artists involved in the show.